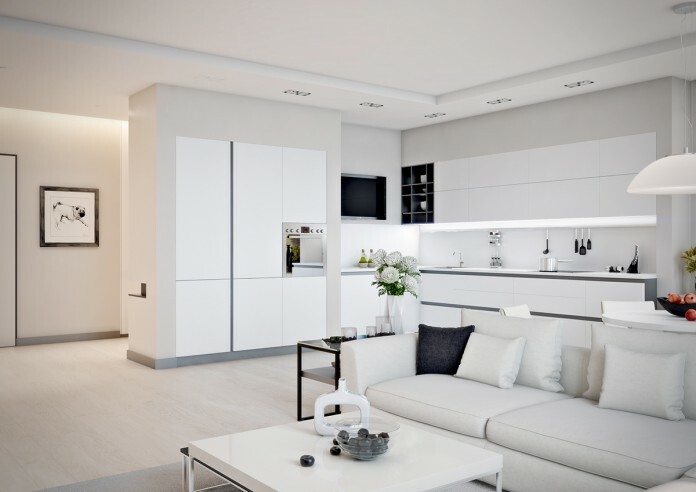 Roohome.com – Small apartment design with the simplicity and elegant white shades are perfect for a couple. The beautiful and soft white touch your heart and take you flying in the clouds and never want to land. Every line is clear and arranges perfectly, it is useful to makes any couple easier get the cozy feeling about their residence. 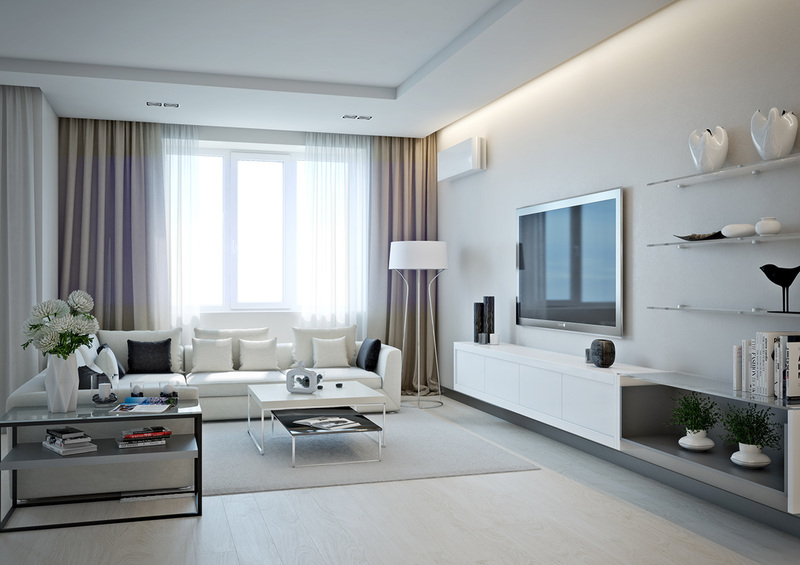 Small living room design with the simple furniture set was so beautiful in white. 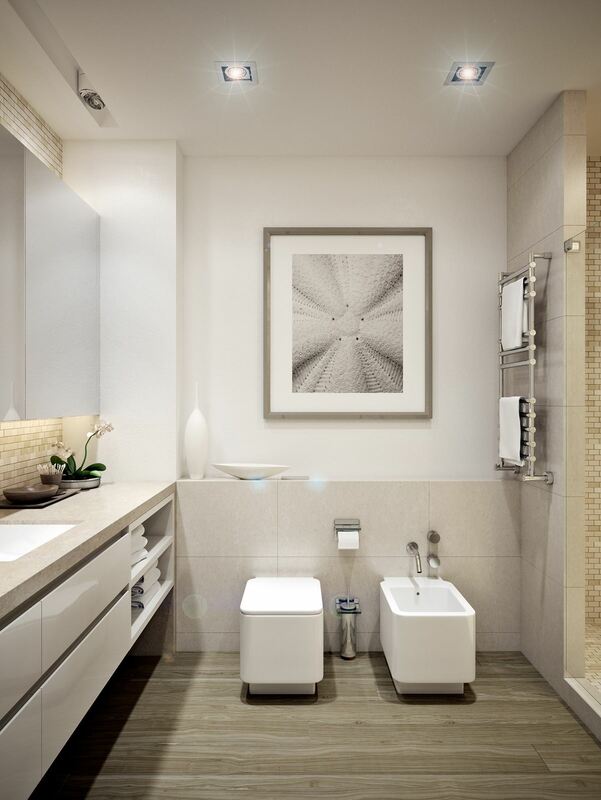 There is no doubt to add some accents that can beautify this space. 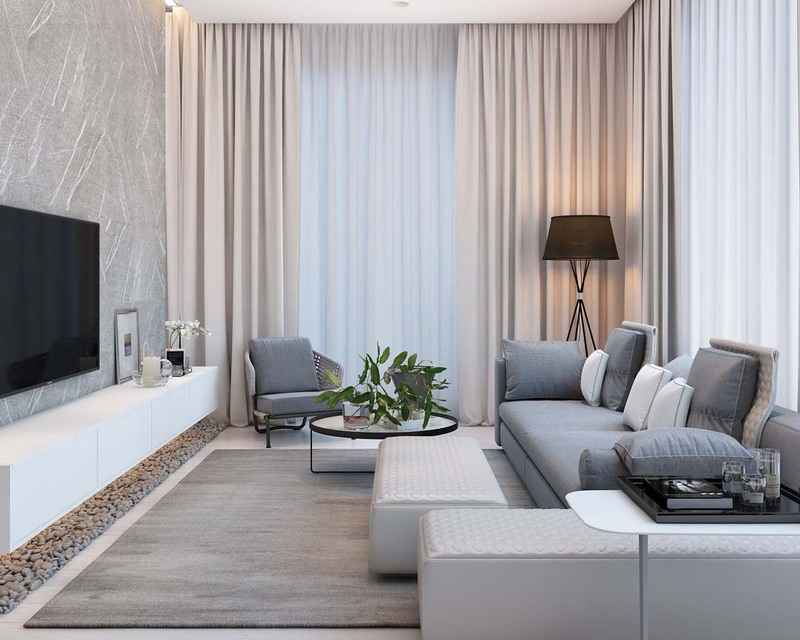 The cozy interior design comes from the designer creativity, that is why you have to be the best designer for your apartment by learning for some references or any other source. White living room design blends with this small apartment design. 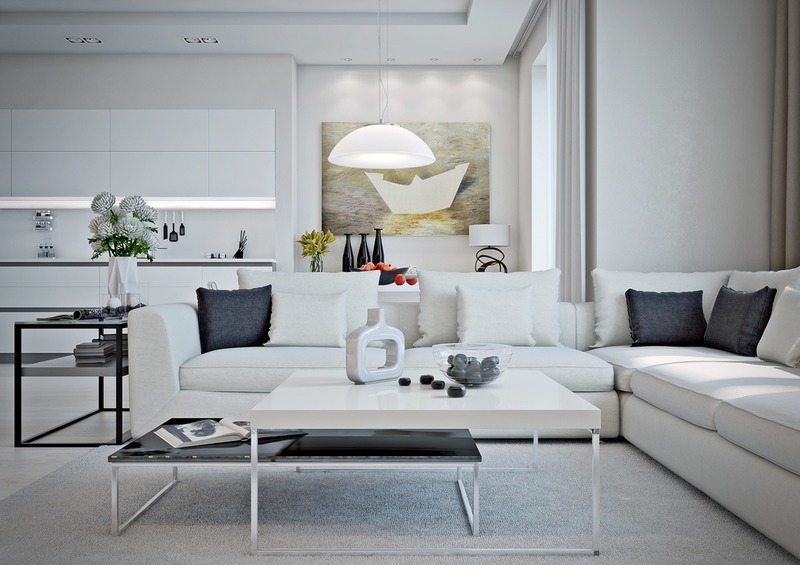 The comfortable white sofa with the black influence is also nice for decorating a living room. The use of a double coffee table with black and white looks so beautiful. 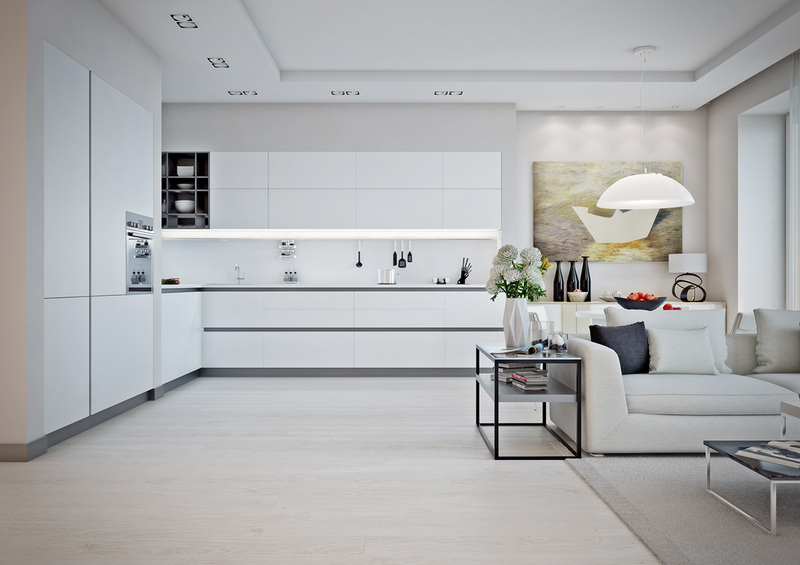 The modern kitchen with the simple design neatly arranged. 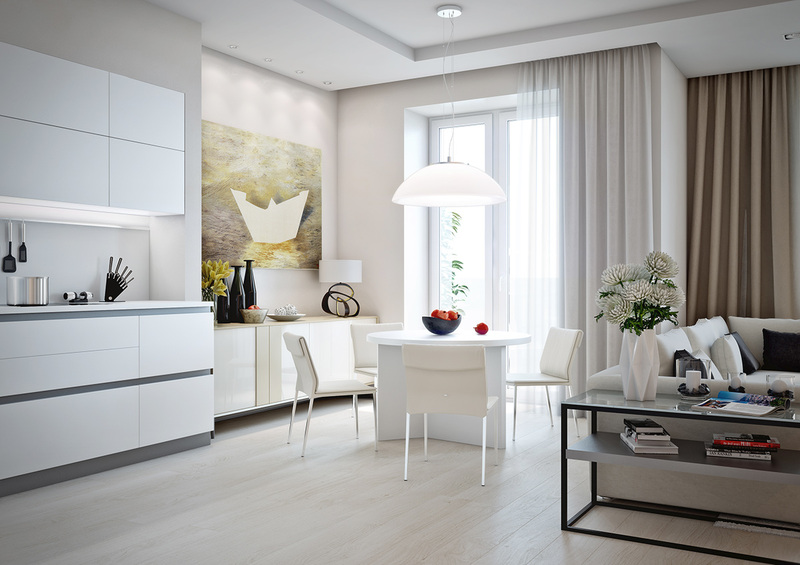 Providing the storage to save the kitchen furniture is on of the solution to make a clear space. It would be comfortable for any cooking activity. 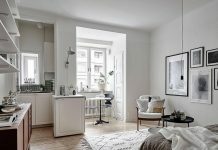 The open plan for its space makes this small apartment looks wider. 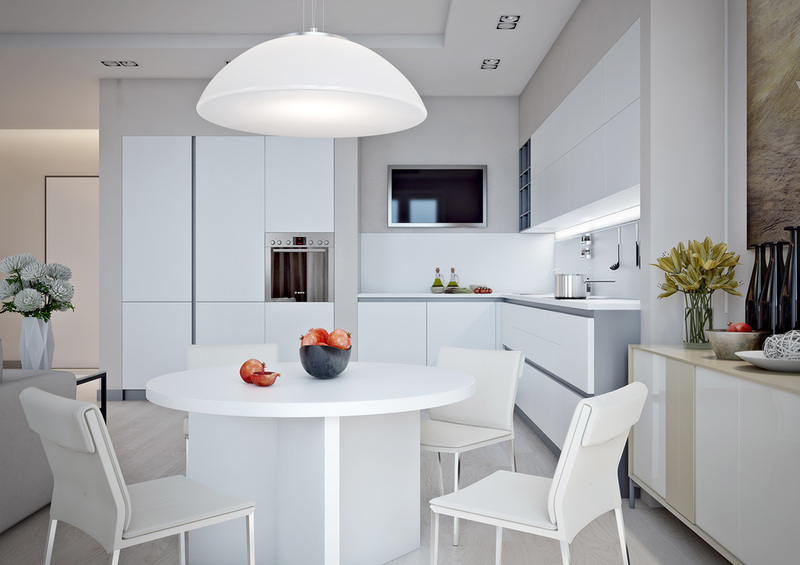 Using minimalist dining table is perfect for the couple’s apartment. They would share the food each other and create the special moment while eating time. 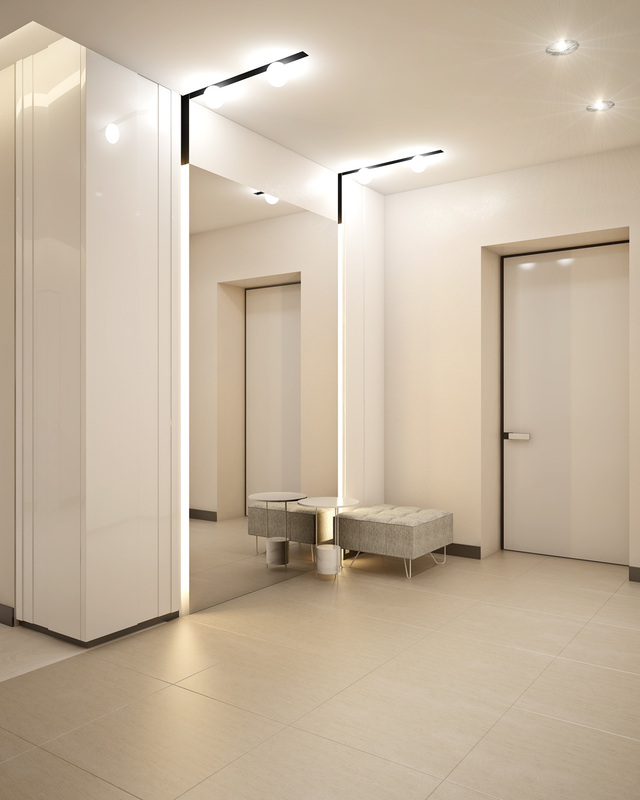 You can use the hanging lamp for its space, and choose the right design that can complete it. 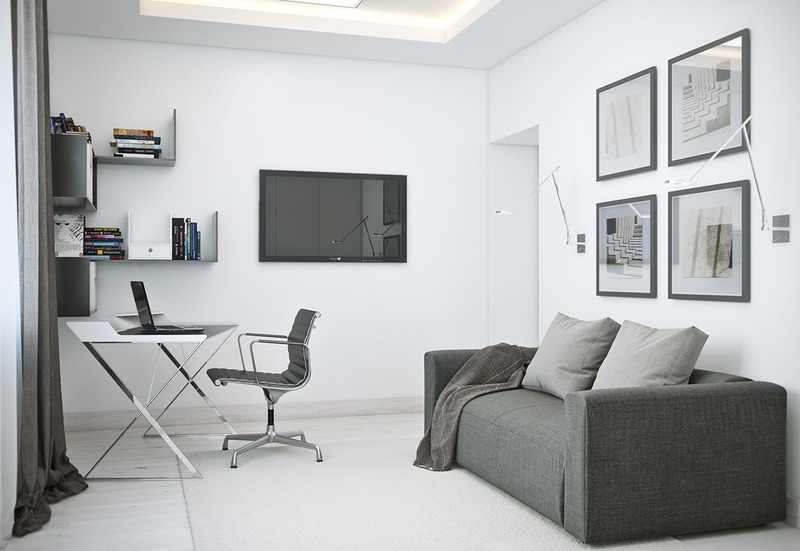 You are possible to create a small working space using black and white themes. The modern office desk in this soft space would help you to find some brilliant idea while learning or spending your leisure time. Small bedroom themes with the minimalist and gray color are perfect for couples. They would be more relax while resting in this space. 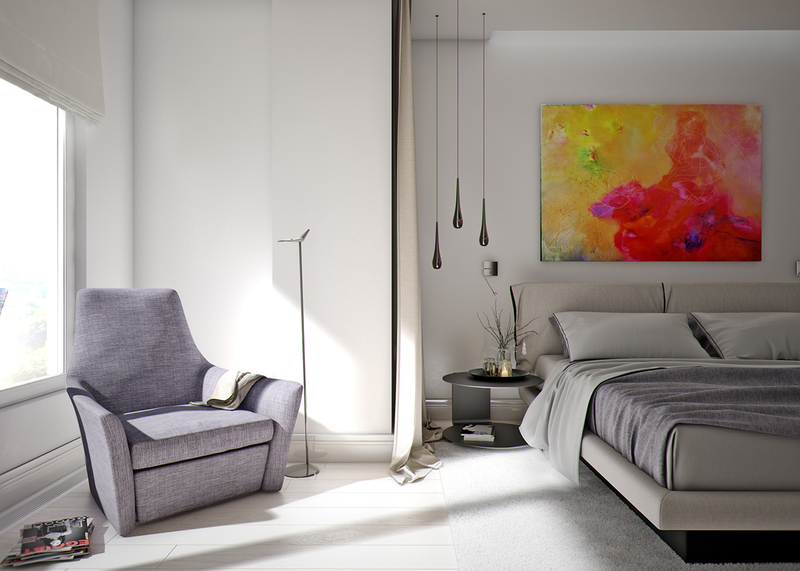 If you want to change a little bit of the soft atmosphere, you can use the colorful paint with the abstract pattern as your bedroom decoration. Putting the unique hanging lamp is also nice for your bed time. 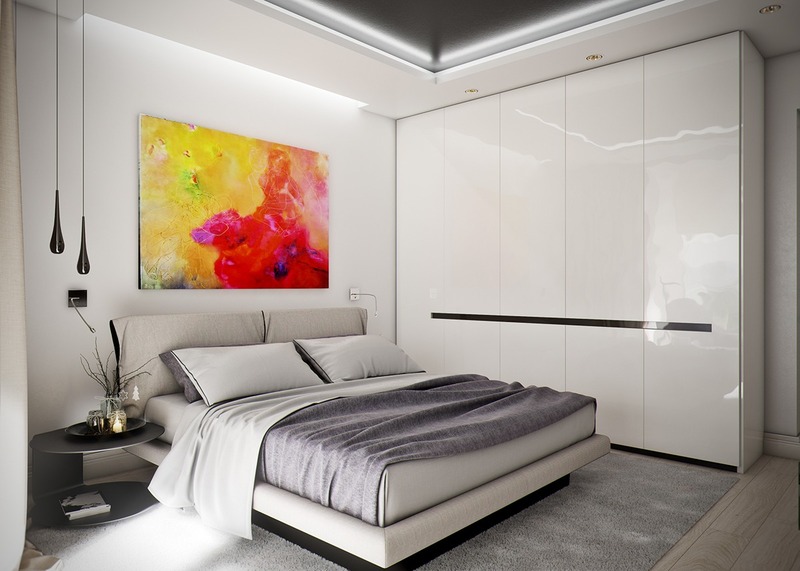 The modern ceiling design is also fit with the white cabinets beside the bed. You can use the remaining space as your reading place. You would forget the time while reading your favorite book in this space. It would be better if you put it in front of the window. 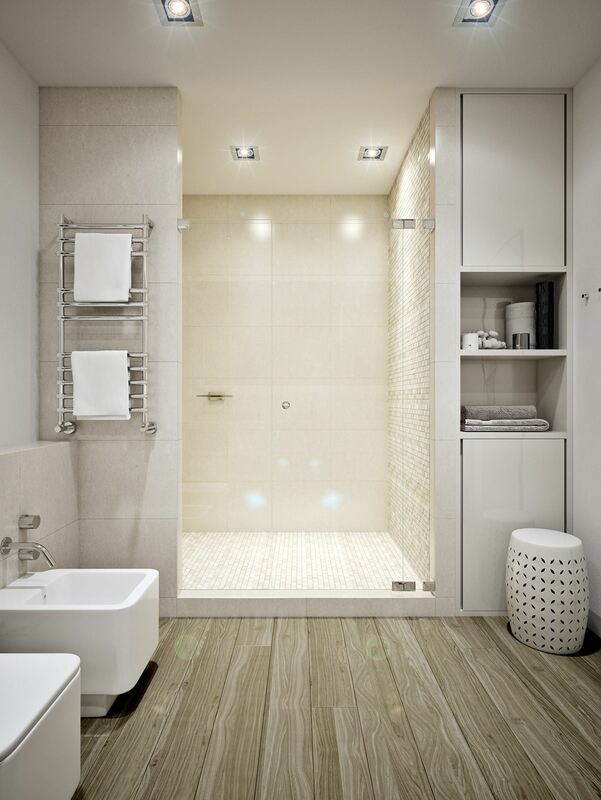 Minimalist bathroom themes by using the wooden material as it floor look cozy and gorgeous. 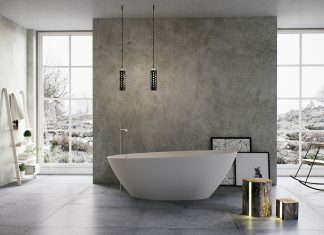 The perfect bathroom furniture and lighting make you would never want to leave your morning ritual here. 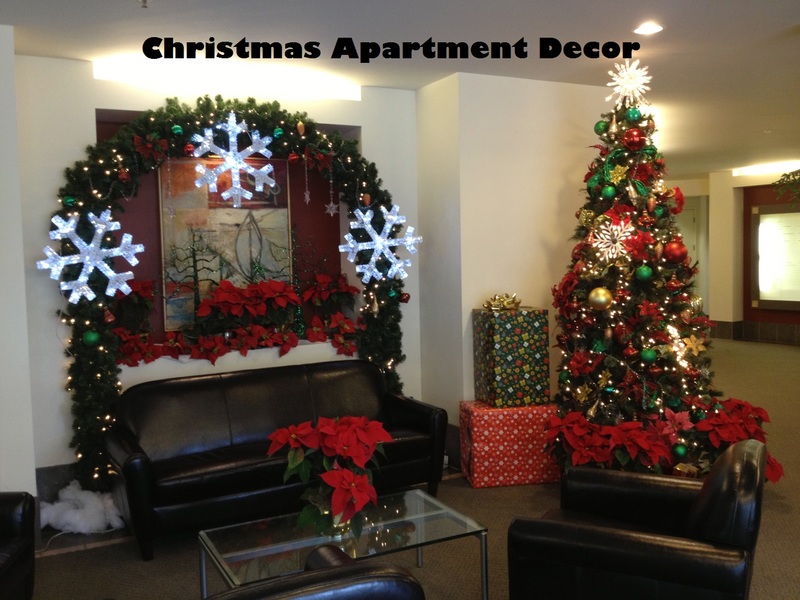 It is possible for you to add the wall decoration in it space. 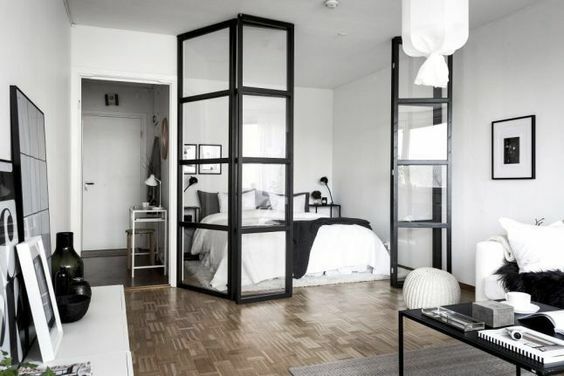 Adding the large mirror as a decoration in this small apartment design is very helpful for it.